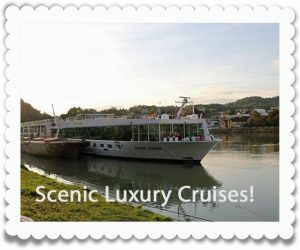 Home Cruising The beautiful Danube with Scenic Luxury Cruises! 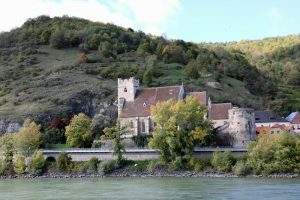 Have you been thinking about trying a European river cruise and just don’t know where to start? I recently had the experience of cruising down the beautiful Danube river and it was WONDERFUL! I knew this was something I wanted to do, and did my research on what cruise lines had the itinerary I wanted and what the amenities were. I chose Scenic Luxury lines because I wanted an all inclusive experience, and that is exactly what I got. Our itinerary started in Nuremberg, Germany. I flew from Philadelphia to Munich, and met the Scenic representatives in the Munich airport. They took us via coach to the Nuremberg dock, where we embarked on the Scenic Amber for our 8 days on the Danube. 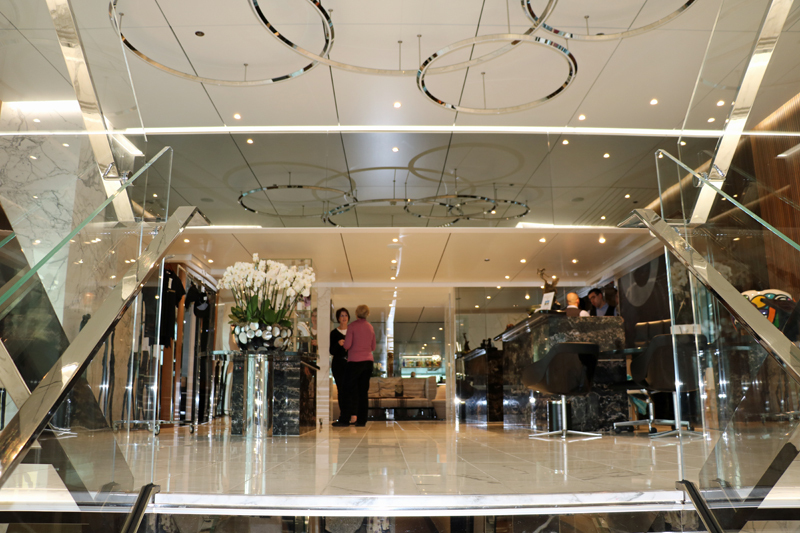 The first thing you see upon embarkation is how lovely the boat is. 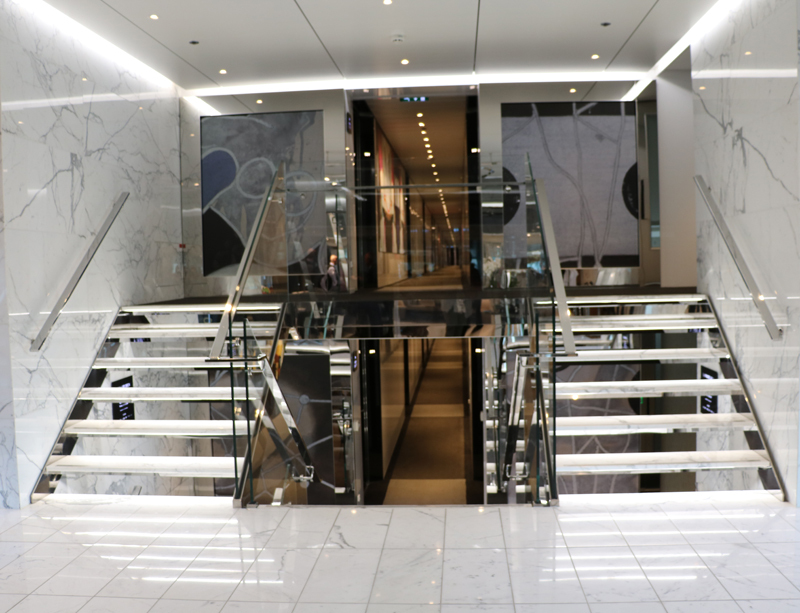 As you can see, the lobby and staircases are marble and designed in a modern but very tasteful way. 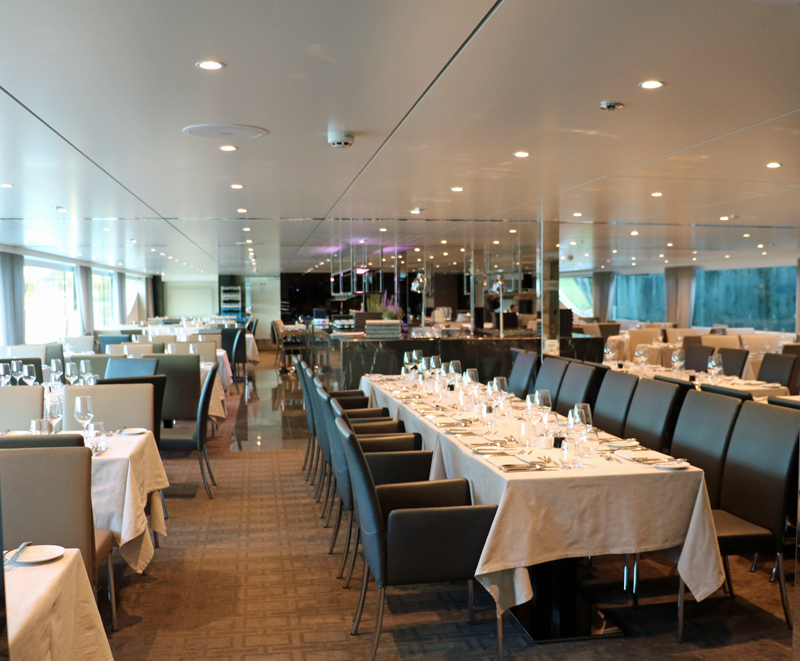 The main dining room served dinner each evening, while breakfast and lunch onboard were served at the buffet in the main lounge. All beverages including wine, beer and cocktails were included each day. On two of the evenings there were special dining events for smaller groups, which was a nice way to meet fellow passengers. There were travelers from all over the world, including the United States, the United Kingdom, Finland, Australia and New Zealand. 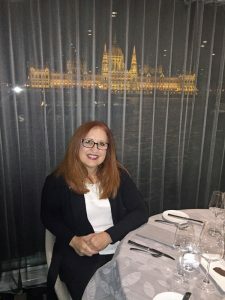 One of the things I really enjoyed about dining on the boat (the river cruise boats are called boats, not ships as they are on ocean cruises!) was that depending on where we were, the menu offered local specialties. In Nuremberg we had Nuremberg sausages and in Budapest we had goulash soup! I love trying new and different foods and this was a great way to do this. The boat itself was lovely, and when the weather is good, the top deck is open for you to sit and watch the scenery go by. So many small villages along the river that are truly like something out of a Grimm’s fairy tale! There is even a pool if you fancy a swim! 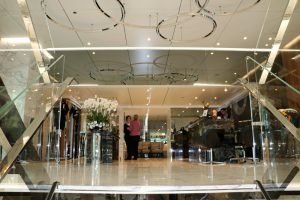 Each evening prior to dinner, our cruise director would spend 10-15 minutes going over the next day’s itinerary, which I really enjoyed. She gave us an overview of what we would be doing as well as sharing a little history with us. After dinner each night we got to enjoy local entertainment onboard! That was one of my favorite parts of this journey. In Germany, Scenic brought authentic Schuhplatten dancers onboard for entertainment, and in Budapest, we experienced Hungarian folk dancing. This was a highlight for me, as i very much enjoyed seeing and hearing the local folk traditions. 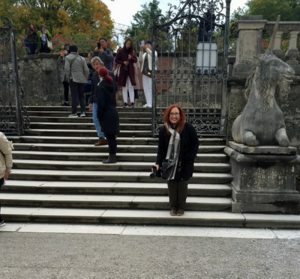 Our itinerary took us from Nuremberg to Regensburg, down to Austria where we spent a day in Salzburg, which was a highlight for me as I am a huge “Sound of Music” lover! We visited Mirabell Gardens, where Julie Andrews as Maria Von Trapp sang and danced “Do-Re-Me” with the children. As much as I love “The Sound of Music”, however, Salzburg is really the most known for being the birth place of Wolfgang Amadeus Mozart, and his likeness is everywhere, including the famous marzipan chocolates you will see everywhere you go! One of my favorite experiences was a ‘snack’ and entertainment in an authentic German bierkeller! We also spent a day in Vienna, including a very fun experience called “The Apfel Strudel Show”. You guessed it, how to make authentic apple strudel. Of course, I also had to taste it…! Our journey ended in the truly beautiful city of Budapest, which was actually two cities, Buda and Pest, facing each other across the Danube. Our last evening onboard was spent dining with the most breathtaking scenery you can imagine! 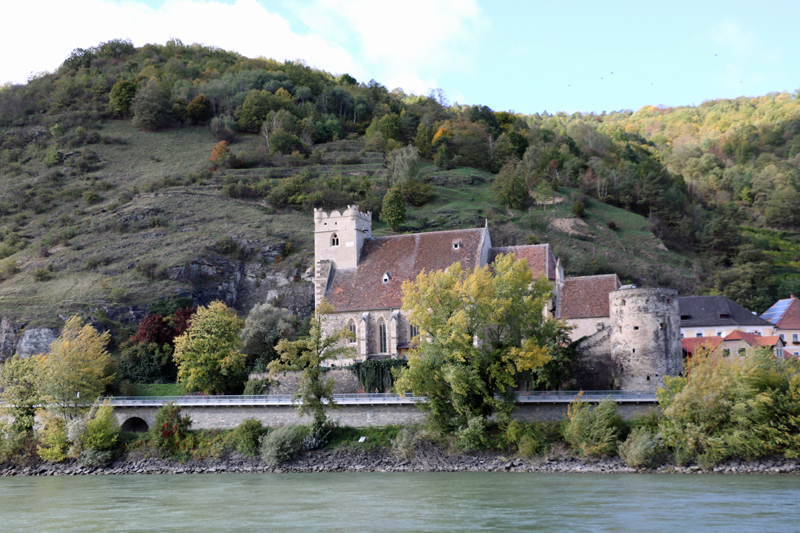 If you are thinking about a European river cruise, I highly recommend Scenic. 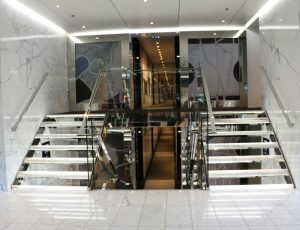 I love that everything was included, and I felt the cruise line really did try to make each and every experience memorable. If you have any questions about this or another cruise line, give me a call! I’m happy to help! Trisha Zavrel, Magically Carefree Vacations! I am a Disney fan myself and I love helping my clients plan the perfect Disney vacation! I visited Walt Disney World for the first time in 1972 and have been back many times since, including my honeymoon. I have been an agent with The Magic For Less Travel for about six years now and I love my job. I enjoy sharing my knowledge and enthusiasm of all things Disney! 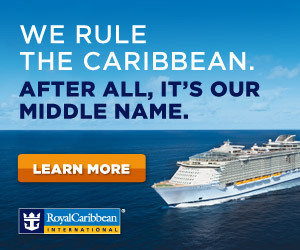 All inclusive, cruise, Destinations. Bookmark.